Uniquely you! 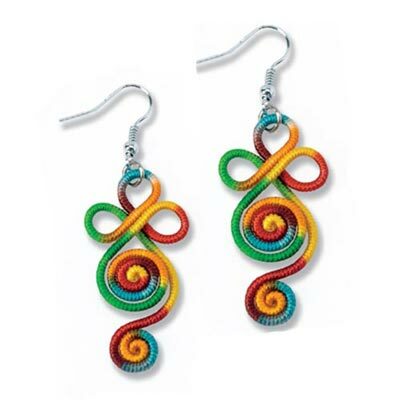 Created from spiraling polyester wrapped wire for a gorgeous rainbow look. Handcrafted - each Artisan Rainbow Woven Earring is unique! Imported. French wires. 2½"l.